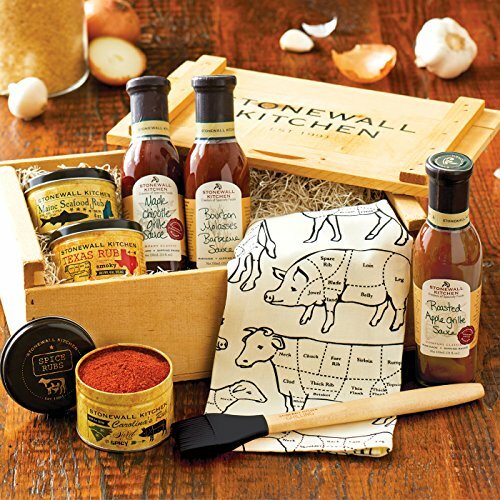 When it comes to grilling, everyone has a favorite and you'll be able to bring out the best in all of your grilled goodies with this delicious collection. It contains four grille sauces, three rubs, a handy "prime cut" tea towel and a silicone Basting Brush. It arrives all packed into a custom wooden crate for a nice presentation and is ready for giving.